What type of stocking do I need? There are a large range of stockings available, please call the office on (08) 9386 9855 to discuss your needs. There are three different types of stockings; medical compression stockings, support stockings and anti-embolism stockings. 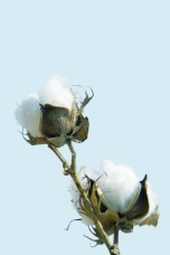 Majority of the stockings we supply are cotton and hypo-allergenic with natural elastaine. Most people can wear these even when they have allergies. Where do I get stockings from? We can supply you with a initial or second pair of stockings if you need them. There are many different types of stockings, it depends on what you need from you stocking. If you have had a procedure the hospital will supply the stockings you need for your procedure on your discharge. You will need to wear them everyday until you see Dr Sieunarine. How much do stockings cost? Stocking prices range from $45 - $170 depending on what type of stocking is needed. If you are a gold card DVA patient, DVA will cover the cost of your stockings for you. There is no rebate from Medicare for compression garments. Some private health funds will subsidise the stockings depending on your level of cover. We can post stockings to a desired address for an extra $10 + GST for postage. If you would like further information about stockings please call the office on (08) 9386 9855. Alternatively you can download our information pamphlet regarding care and wearing compression stockings.